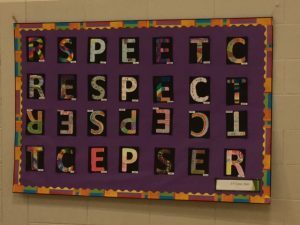 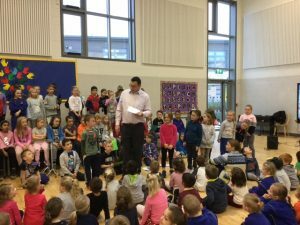 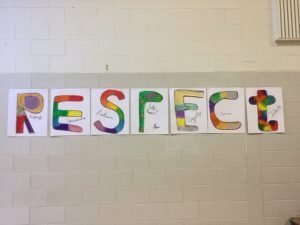 Assemblies of Respect – Midleton Educate Together N.S. 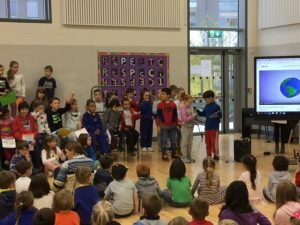 Each month we focus on an Ethical Education theme as part of our Assembly topic. 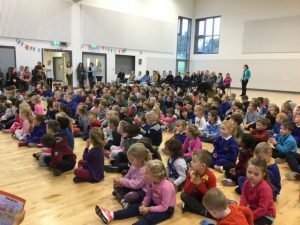 2nd and 6th Classes completed their assemblies this week and as recognition of successes we welcome pupils up to celebrate personal and/or academic successes. 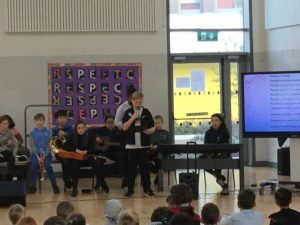 Thank you to our staff and parents who assisted in the preperation of these assemblies. 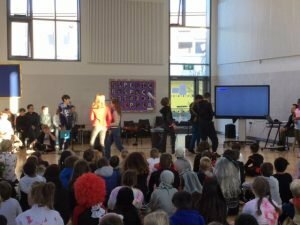 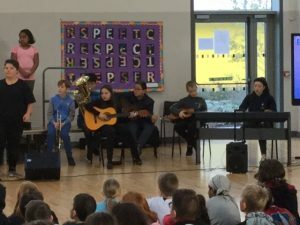 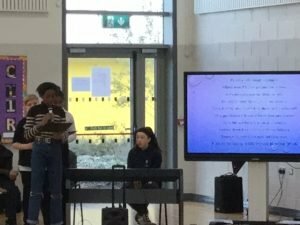 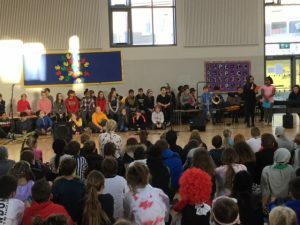 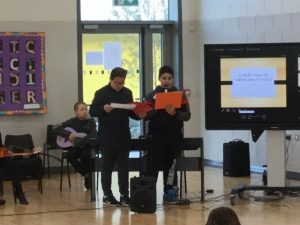 Our 6th Class Assembly was probably the most unique yet with the pupils celebrating the Educate Together ‘One Day Together’ and joint Library fundraiser. 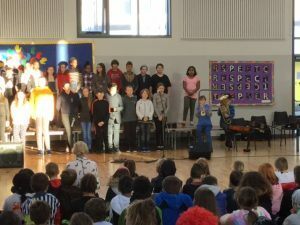 Well done all, they were fantastic successes.